As a local resident and member of the local amenity group, The Hackney Society, I have been asked to say a few words giving a heritage dimension to today's event commemorating Harold Pinter. Samuel Pepys, writing in his diary in 1666, portrayed the Clapton area as a veritable Garden of Eden, a refuge from the densely populated, claustrophobic and plague ridden City of London. He described escaping from the City's dirty, crowded streets to the rural peace and quiet of Hackney, where cows grazed in open fields, watercress was grown and fruit harvested. On his visits, Pepys frequented the Mermaid Tavern in Mare Street, which had its own pleasure gardens and bowling alley, and he recorded that he ‘played shuffle board, ate cream and good cherries’. Pepys first glimpsed orange trees growing in the gardens of Brooke House in Clapton, an aristocratic residence formerly in the ownership of Henry VIII which survived into the 20th century, and this old mansion house would have formed part of the streetscape with which the young Harold Pinter would have been familiar. Brooke House was demolished by the local authority in the 1950s to make way for a secondary school and the site is now occuped by B6 College, around the corner from Thistlewaite Road. In the 18th century, Daniel Defoe, writing in 1722, described how Hackney was remarkable for being the retreat of so many wealthy citizens, wryly suggesting that Hackney contained many more private carriages than it did Christian souls. All this was to change dramatically during the course of the 19th century when the big houses and green fields began to give way to the development of mass housing for the middle classes which came to dominate the area from the 1860s onwards. 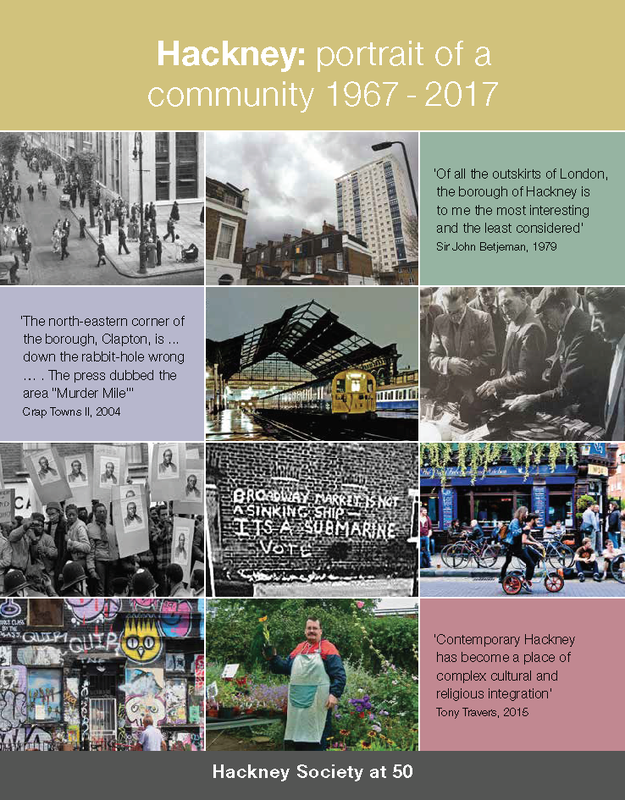 Hackney had long been known for its thriving communities of non-conformist religious worshippers and dissenters. It was in Hackney that French Protestants, escaping from persecution in their home country, set up residence. There were chapels for amongst others Independents, Baptists, Unitarians, Wesleyan and Primitive Methodists. Clapton also had New College, established in the late 1780s, where students from all religious denominations could study. It was at New College in 1792 that Tom Paine was guest of honour, soon after he had published the second part of The Rights of Man. A plaque now marks the location in Thistlewaite Road, less than a hundred yards from the former Pinter residence, of Hackney's first synagogue built in the 1770s in the grounds of Clapton House for a wealthy Jewish merchant who had settled in the neighbourhood. So it was understandable that during the last quarter of the 19th century and into the 20th century, Hackney also became a haven for Jewish immigrants escaping from Russian pograms and then Nazi persecution, amongst whom were Harold Pinter's grandparents. By the time that the young Harold Pinter attended Hackney Downs Grammar School in the 1940s, the Jewish population in Hackney had swelled to over 50,000, many of whom lived in Clapton and Stamford Hill. Although the middle classes had moved on to pastures new, Hackney still had educational institutions where working class children could gain an excellent education. Hackney Downs School was one such place, and it was here that Harold forged friendships which were to endure throughout his adult life. Lady Antonia has been quoted as saying ‘I don't think Harold would accept anything, except the laws of cricket, without question’,and Michael Billington, in his biography of Harold Pinter, said that what bound these friends together was ‘a passion for intellectual discovery and argument about ideas’. This spirit of independence and intellectual enquiry was developed by Harold's experiences at Hackney Downs School. The School had been founded in 1876 by the Grocers' Company. By the 1940s, the School had an over 50% Jewish intake and a fine record for academic achievement. Amongst its many distinguished ex-pupils, Hackney Downs produced four life peers, two university vice-chancellors and two famous actor/playwrights in Harold Pinter and Steven Berkoff. It was at Hackney Downs that Harold's potential was recognised by his English teacher Joseph Brearley. Joe Brearley encouraged and nurtured his talented student and introduced Harold to his own passion for English poetry and drama. Fifty years later, when Harold received the David Cohen British Literature Prize, he would recall that ‘Joe Brearley fired my imagination, I can never forget him’. In commemorating Harold Pinter today, we would also say that as a playwright, author, screenwriter, poet and actor, Harold Pinter's work will continue to inspire successive generations and ‘fire their imagination’. We are proud that Clapton Pond will now bear a plaque in his memory. We will never forget him. Lady Antonia was then presented with the Hackney Society publication Hackney: An uncommon history in five parts, in which five different contributors give their own perspectives of Hackney history from 1612 to 2012. This page was added on 30/09/2012.